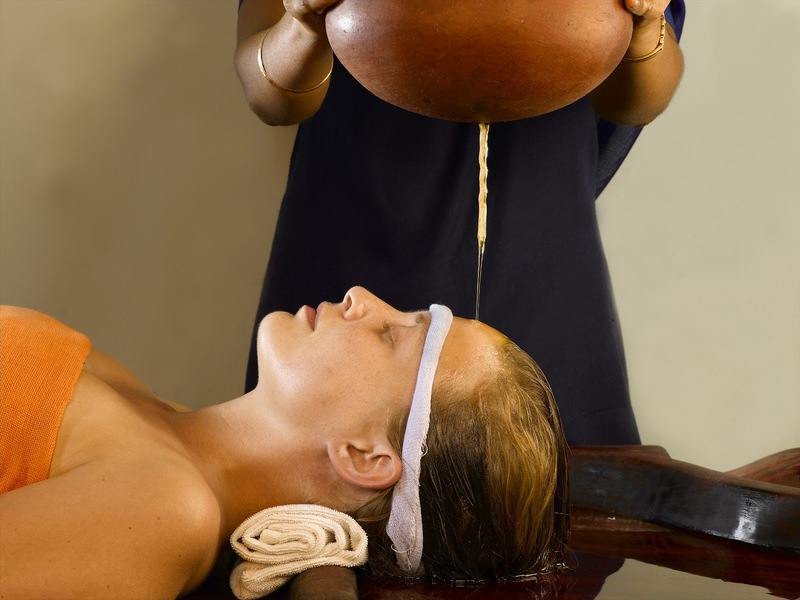 Followed by it was Shirodhara (which literally means head-stream) in which oil from a "kalash" or v-shapped vessel, would be poured on the centre of your forehead......this ancient therapy from the South of India is profound in its cure for severe head aches, migraines and hyper tension. Totally took me a 2 hours, but was equivalent of a good 8 hour sleep. So fresh and charged now, I am ready to be working all night !